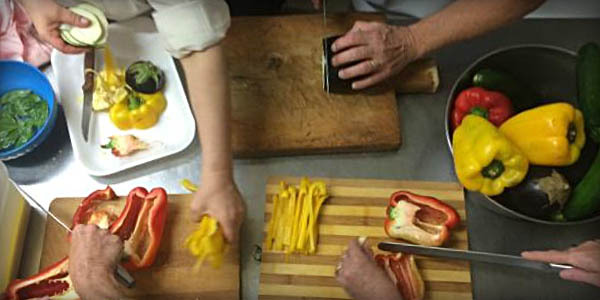 Roll up your sleeves for fun and informal one-day hands-on Italian cooking classes. Your Tuscany Cooking School Looks Forward to Welcoming You! We also offer daily workshops, usually for groups of 4 or more. Daily workshops are 4 hours in length from 10 a.m. to 2 p.m. The cost of the daily workshop is $250 per person, per class. Contact us to coordinate the best available dates for you. All classes are taught in or near the village of Montefollonico. Menus for each workshop are chosen seasonally with availability of fresh food products being of prime importance. Wines from the region are paired with the menu. Here are some of the typical menus available for our daily workshops. Our delightful Tuscan woman cook teaches you essential foundational Tuscan techniques as she prepares stuffed zucchini flowers, chicken alla contadina, “white” ravioli stuffed with farm-fresh ricotta, and pici pasta with a tasty sugo del paese, and finishing with caramel gelato with strawberry flambé. Wines and coffee are included. Cooking class with our local cook features hand-rolled pici, the delicious eggless pasta that originated in our area of Tuscany. We will also prepare aglione (garlic and tomato) sauce, pollo diavalo, savory grilled fresh vegetables topped with local extra virgin olive oil, and crostata suisina. Typical Tuscan favorites–ribollita (Tuscan vegetable, bean and bread soup), roast loin of pork, potato smorfato, biscotti and panna cotta are featured in this class. 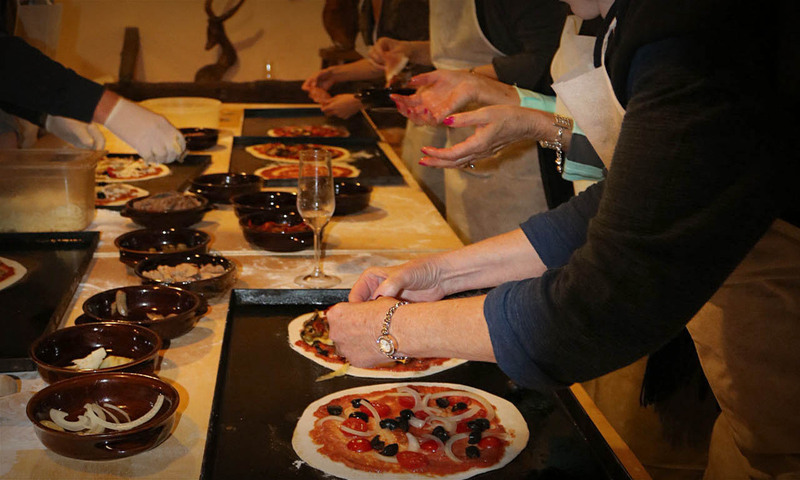 All classes are held within the village of Montefollonico and are taught by our local cooks. 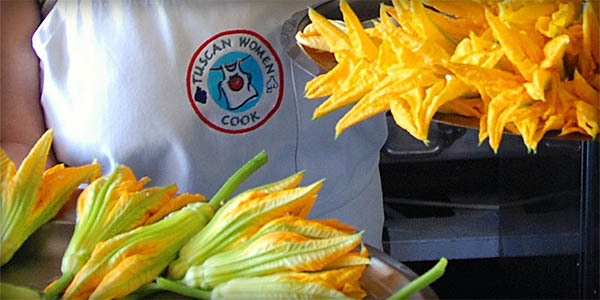 You will be accompanied by a representative of Tuscan Women Cook at every class and event. 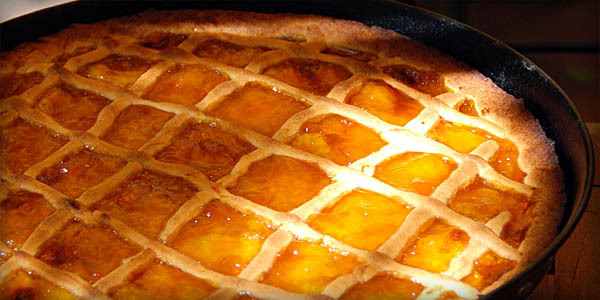 For daily classes, we will meet you at 10:00 a.m.
See the sample weekly schedule of our Tuscany cooking school.